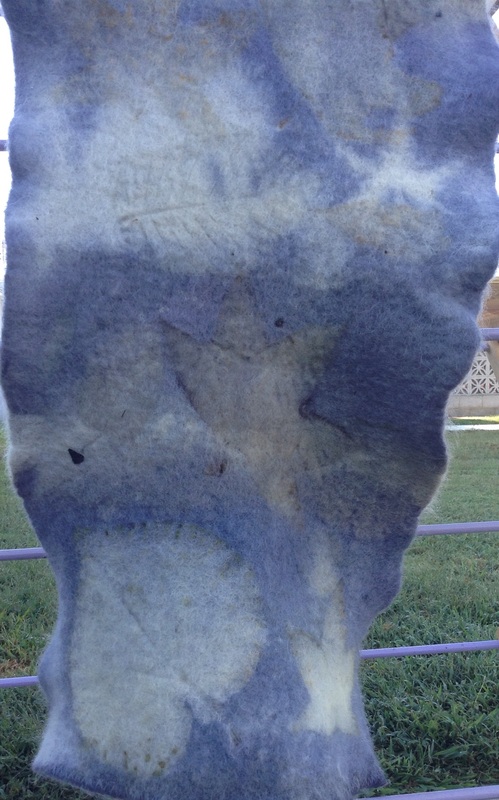 I rescued a sadly felted pure wool blanket at the thrift. Ron thought I was cazy as I danced to the car. It was sweltering out but I felt a chill coming. 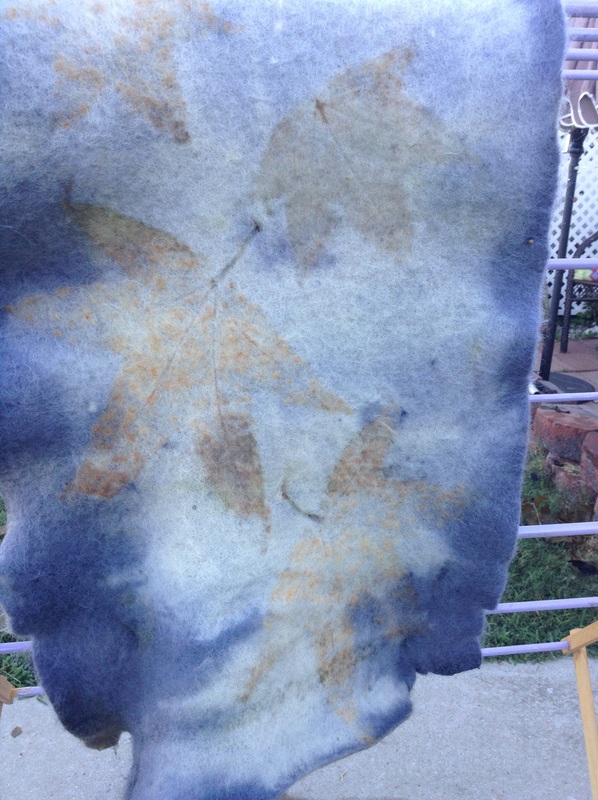 I cut it into shawl, scarf sizes for eco printing and natural dyeing. This one was bundled with fresh leaves and put into a logwood bath. Love the way it turned out! I’m thinking it will go in my Etsy shop soon. Thanks Geri and Jenny! Now I have to style it and photograph it for Etsy.